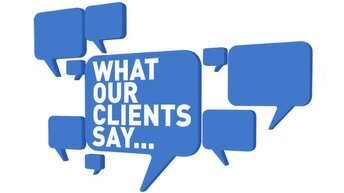 Client Testimonials - Schneiderman Insurance Agency, Inc.
"Zack’s knowledge and expertise are unrivalled and his highest priority is always the client. He has kept me and my family well-protected and I happily refer friends and family to him as the need arises." "Zachary has been a total professional in every sense of the work. Knowledgeable, courteous, and above all on top of it. When you need someone on your side that understands the system it’s cake setting yourself with all the coverage you need. Without a doubt my first choice for my insurance." "Zachary is awesome! If you need an agent who is down to earth, respectful and an all around good person, then Zach is your man. He is very helpful and he takes the time to explain things, cause we all know how confusing insurance can be. Trust me you cannot go wrong with him." "Zachary is the only agent we will ever use. He handles our homeowner’s and auto insurance. He is always available, patient, answers all of our questions, and makes sure we know and understand all of our options. Zachary makes the insurance process easy, simple, and stress free." "Zack represents everything you would want from an insurance agent. Timely, professional, honest and knowledgeable. I would highly recommend him." "Zachary is the kind of agent that will go the extra mile for you. He’s hardworking, detailed oriented and will always try to find the solution to any problem." "Zack was a breeze to work with. He took the time to understand what I was looking for, and then spent plenty of time trying to find me as many discounts as possible. We tweaked my coverage and numbers and ran many different calculations until I was happy with my policy and price. He is a very good listener and will listen to your concerns and help you find the perfect coverage for you." "Zack, you have become such an invaluable resource for us and our clients; we can’t thank you enough! The level of service, knowledge, honesty and commitment you always show is such a difference maker and makes working with you and referring you to our borrowers an absolute no-brainer! We can’t imagine any insurance need without you!" "This review is long overdue. Zack treats his clients with respect and truly cares for their best interests. He makes us feel comfortable and listens to all questions and concerns, figuring out the best way to tackle each one. He’s been our insurance agent for almost 2 years and we have never once regretted the decision!" "Zack has been taking care of my family for over 4 years now. He handles our auto insurance, renters insurance, and life insurance. He has been nothing short of amazing!! He continuously goes that extra mile you only hope your agent goes for you. It’s not easy finding the right rates and the right person, but you certainly can count on Zack to get you exactly what you need within your means. Once you choose Zack you will never go back! ? Thank you Zack for these years!! Cheers to many more !" "Hey everyone! I’m currently on the phone with Zach, whom I had to actually call back after hanging up on him for seeming “not legit” and thinking I was being scammed because he was WAY too nice, the process was WAY TOO EASY, and the renters insurance rate was WAY TOO GOOD TO BE TRUE……After hanging up and before giving him the rest of my personal information, I called Farmers and they verified that he is in fact an agent….(oopsie. )I also noticed he went above and beyond to graciously email me proof of the legitimacy of the new insurance policy he was setting up for me. After a hearty laugh to myself and heavy remorse, I hurriedly called him back to apologize for being wrong….TALK ABOUT FLAWLESS CUSTOMER SERVICE!!!" "Zachary Schneiderman and his staff are just wonderful. They handle both of my home and auto insurance. I just had to deal with a hit and run claim this week. Zack personally went the extra mile with helping me instead of just transferring me to a claim agent to assist me. Zack even stayed on the phone to make sure I didn’t have any other questions. He is always available to assist me with any concerns my husband or I have. Thank you Zack for all your help these past two year, you and your staff are just out of this world!!!!" "I had a great experience when I went into the office. The office manager and employees treated me extremely well. I’m so glad the t I chose this agency because they gave me the best quotes for my auto, and renters policies. I will be referring family and friends. Thanks"
"Love every staff member that is part of Zachs team. Have always been nice , polite, understanding, helpful and go beyond their way to make things happen. I love that when i call they already know its me and greet like theyve known u for years. Are always on top of their game. I Love Love Love the staff, i couldnt be happier, wouldnt trade my Agent Zach for anything." "Zac is an awesome and charismatic person. I am very honored to be able to work with him." "Highly appreciated of Zac's understanding of what we needed and were looking for"
"Zachary and his staff are excellent, friendly, well-informed and very helpful. Happy to rate them at five stars!" "Zack is a wonderful helpful with our insurance needs"
"I am so grateful to have Zack on my side! In the past, I have always felt that Insurance agents are out to get me to buy insurance that I do not need. I do not feel this way about Zack at all, he does all the price comparisons for me because he is able to access multiple insurance carriers and only recommends policies with reputable insurance carriers. He and his staff are knowledgeable and are able to explain each of the policies and their benefits. Thank you!"